You can play around with all its features to make your own. 8 Different colors by default. Make your own colors with CSS. 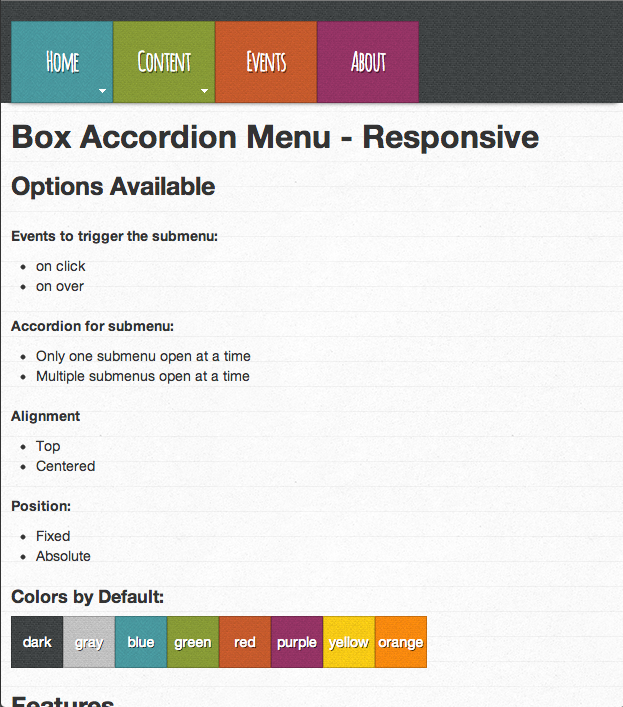 Choose the color of your preference and make you own menu. 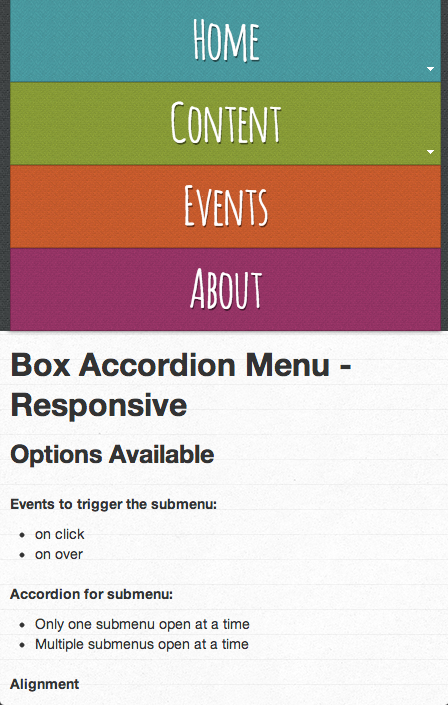 Responsive design (3 different modes). 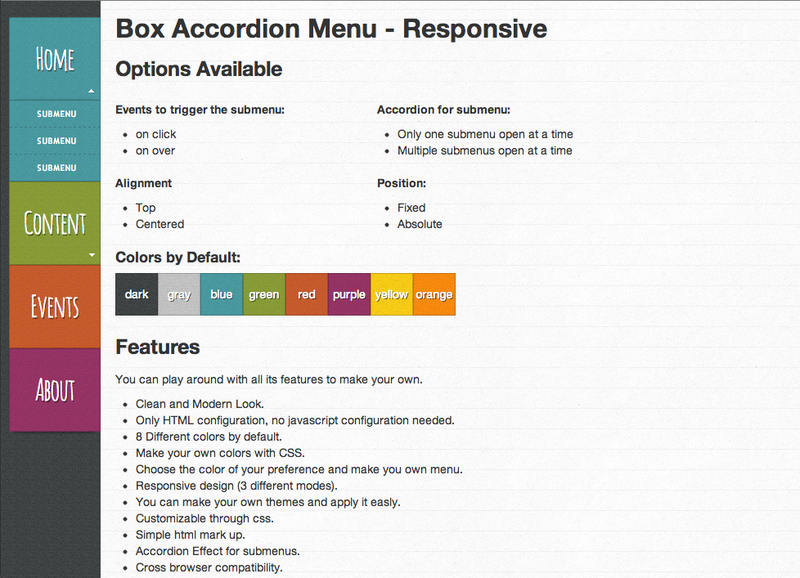 The responsive design is in a different CSS file and its optional. You can make your own themes and apply it easly. Just by adding a CSS class.